Happy D.2 is a stylish, and timelessly modern versatile bathroom solution that delivers a complete bathroom experience. 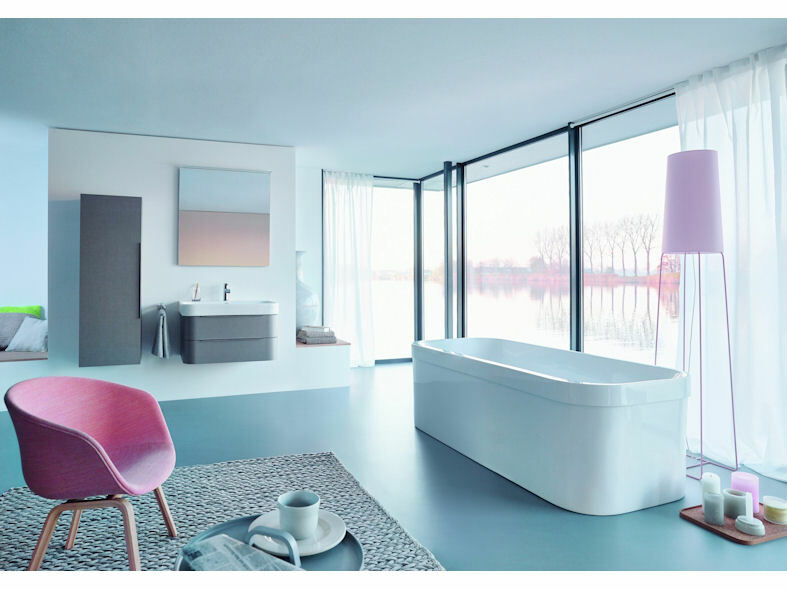 With its clean-cut architectural design, Happy D.2 offers a range of washbasins, baths, toilets, floor standing and wall mounted, toilet seat covers, bidets and metal consoles. The Happy D.2 hand washbasin is available in a number of options such as surface- mounted, or as a typical classic washbasin with either a siphon cover or pedestal or alternatively as a furniture washbasin with metal console or matching vanity unit. Translated throughout the range is a sense of weightlessness that is depicted by the curved rim displayed by one of the basins as if floating seamlessly in its surroundings. Happy D.2 brings a new feminine chic to the bathroom.